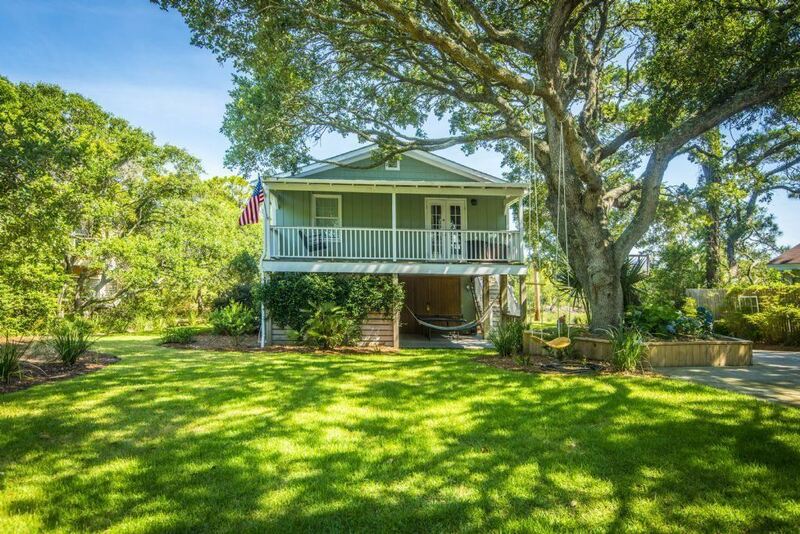 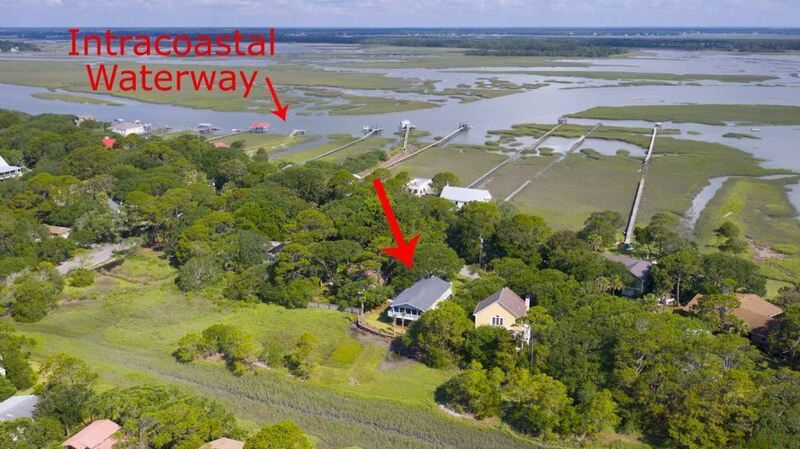 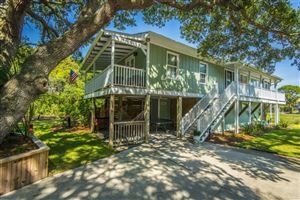 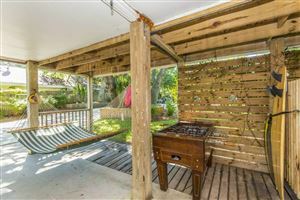 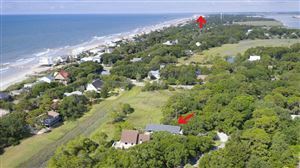 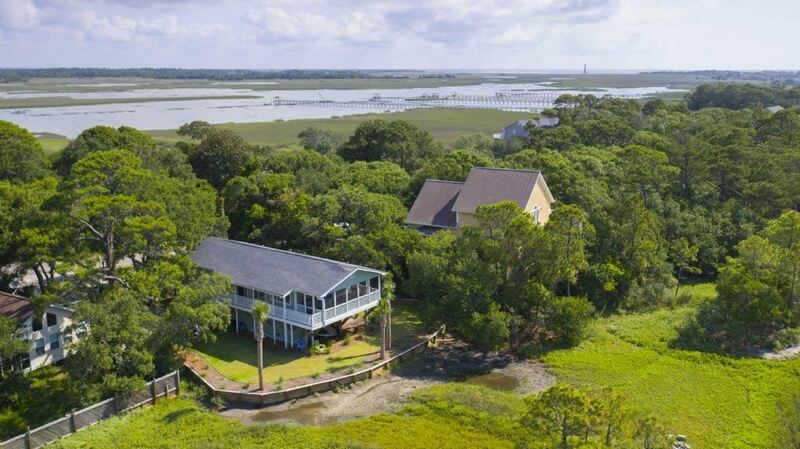 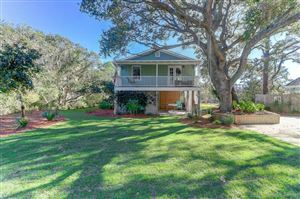 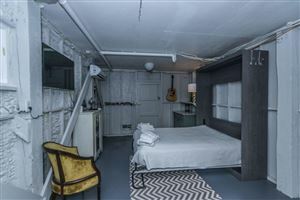 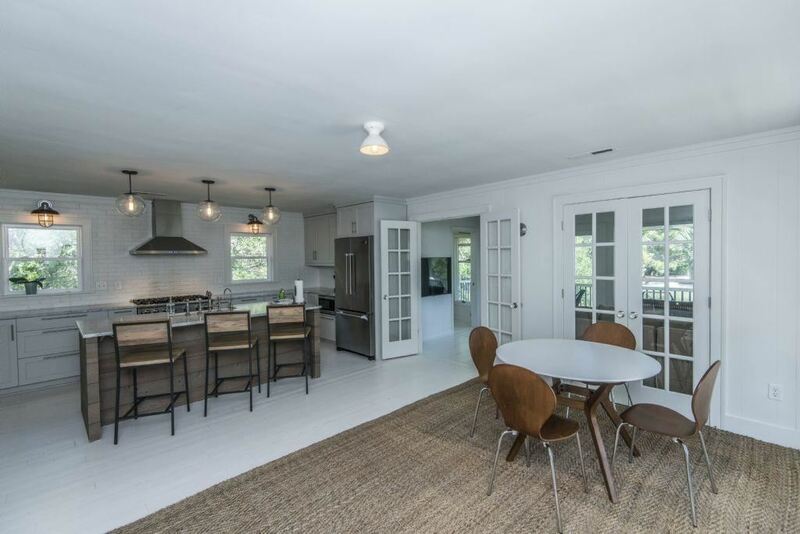 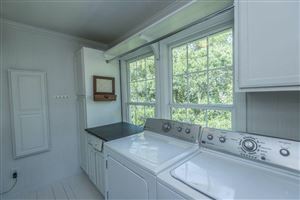 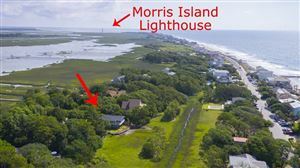 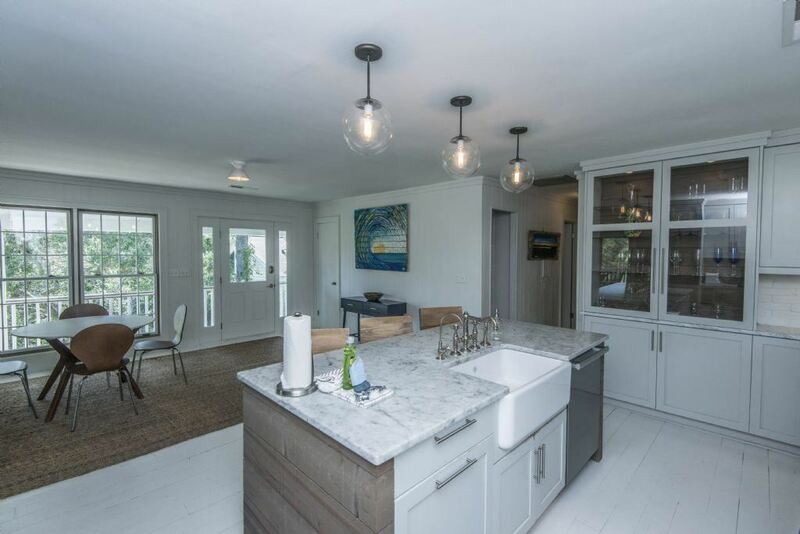 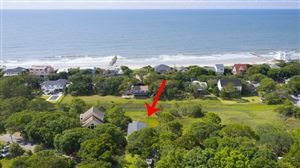 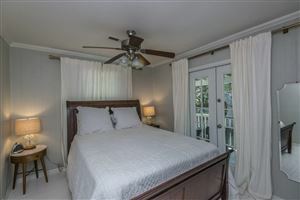 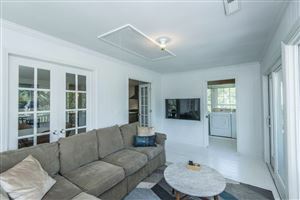 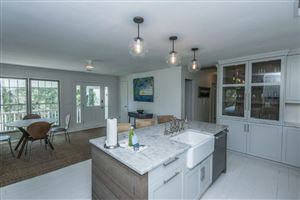 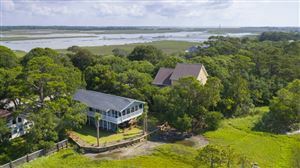 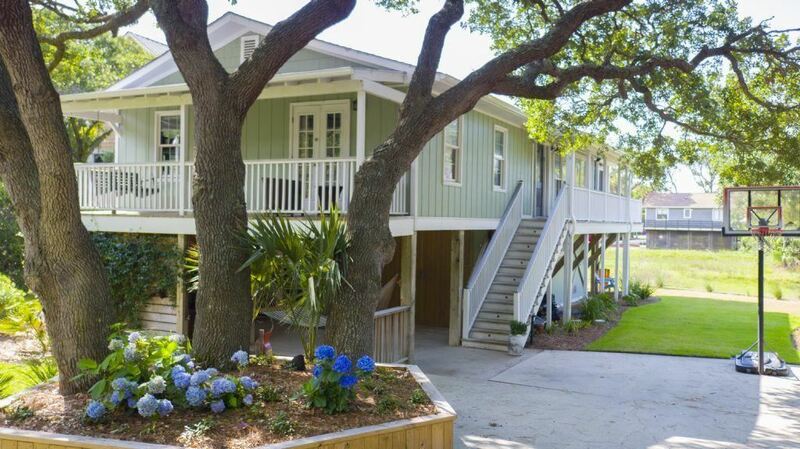 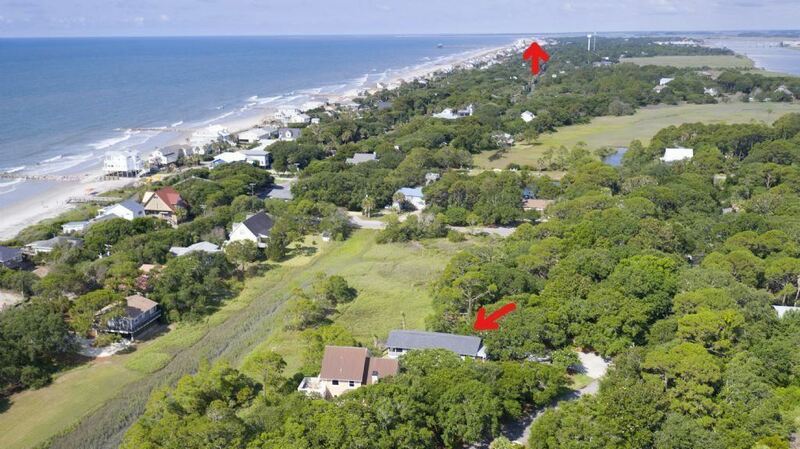 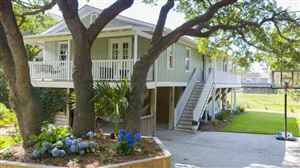 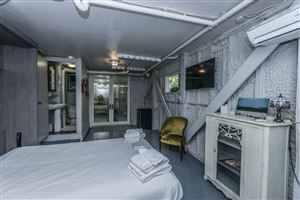 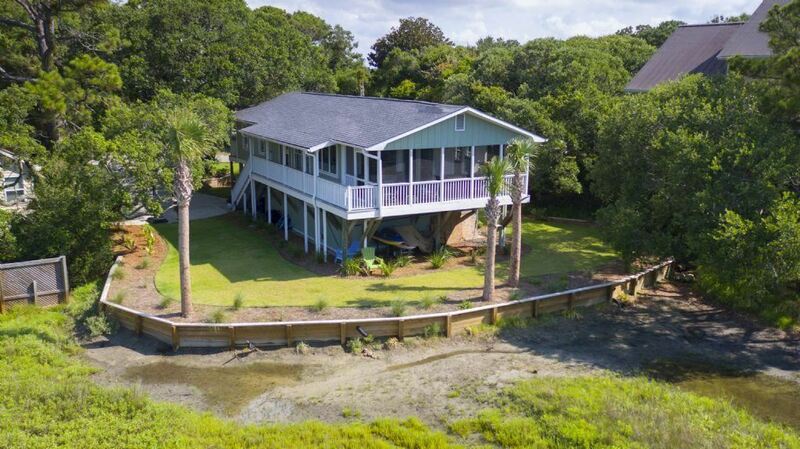 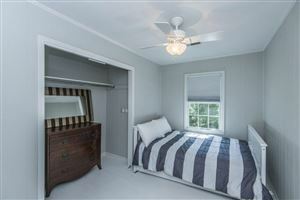 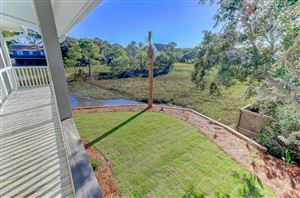 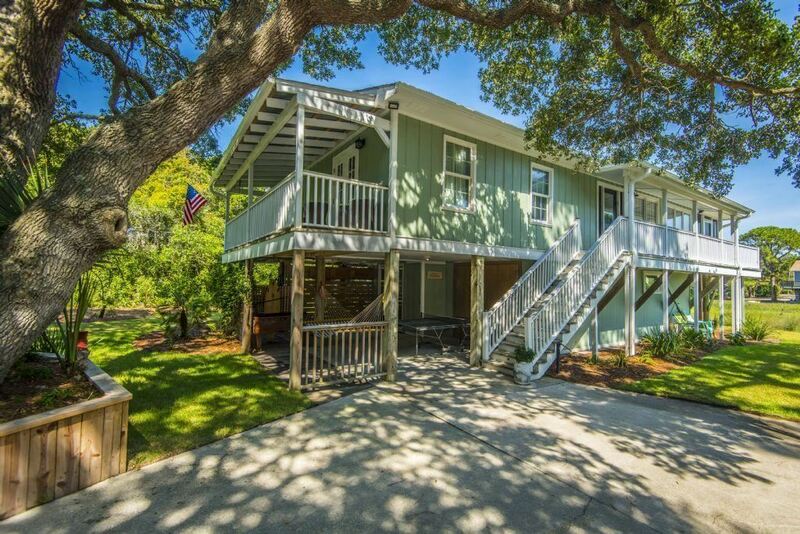 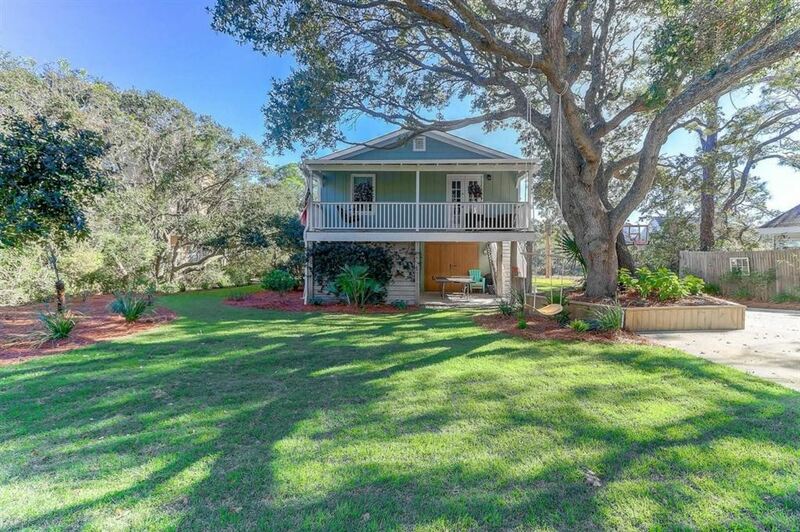 Stunning Remodeled Beach Cottage in a peaceful setting with gorgeous marsh views & sounds of the ocean! 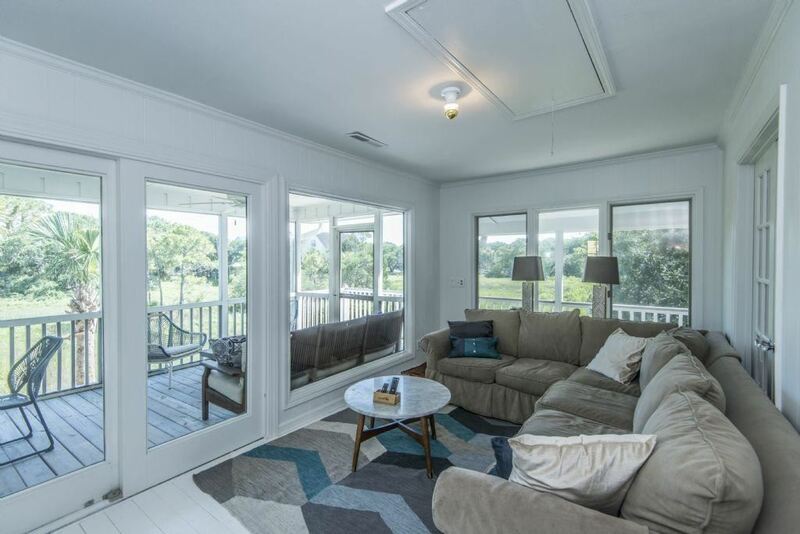 This home lives large with amazing outdoor space, a spacious 1/2 acre lot & plenty of usable space under the home. 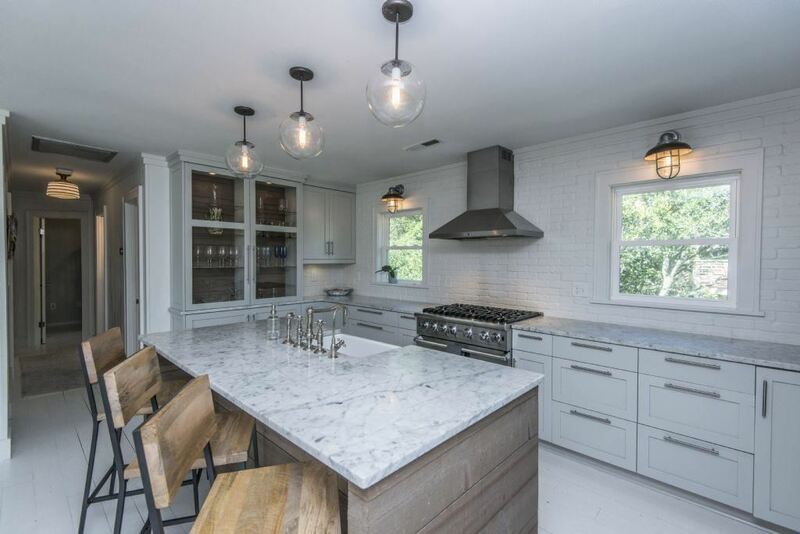 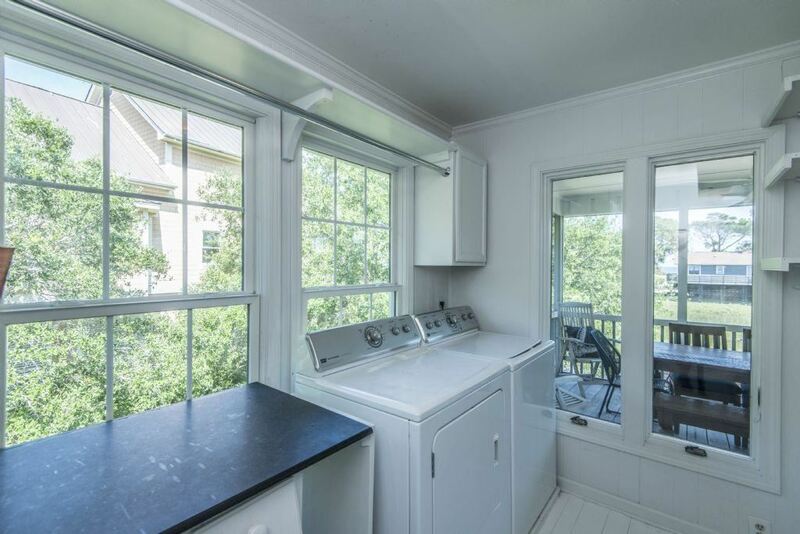 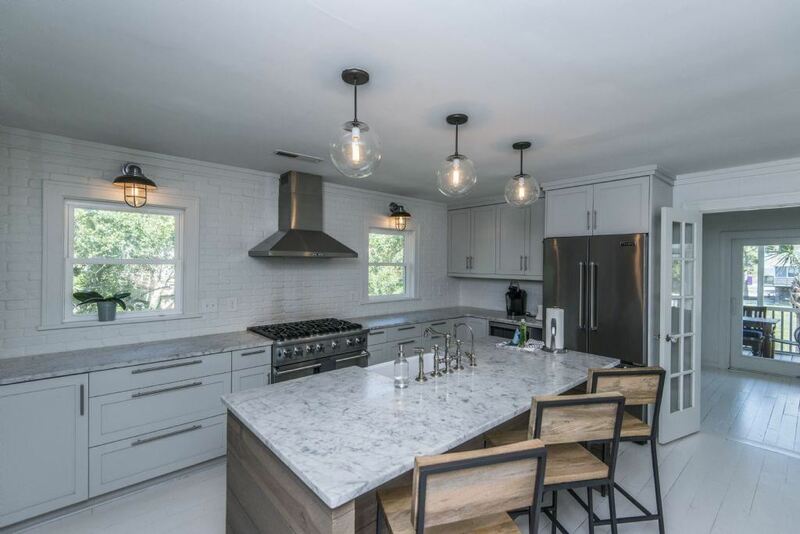 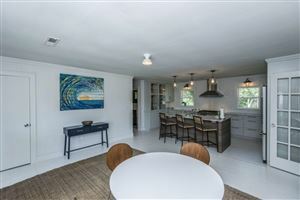 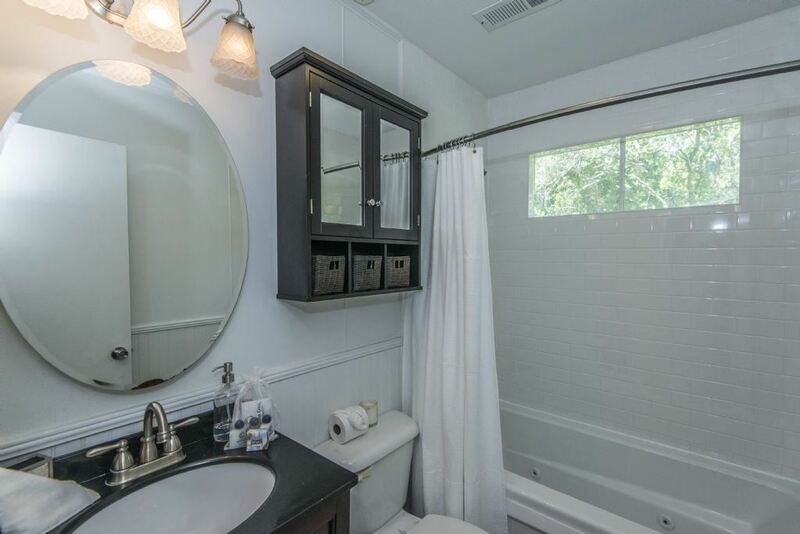 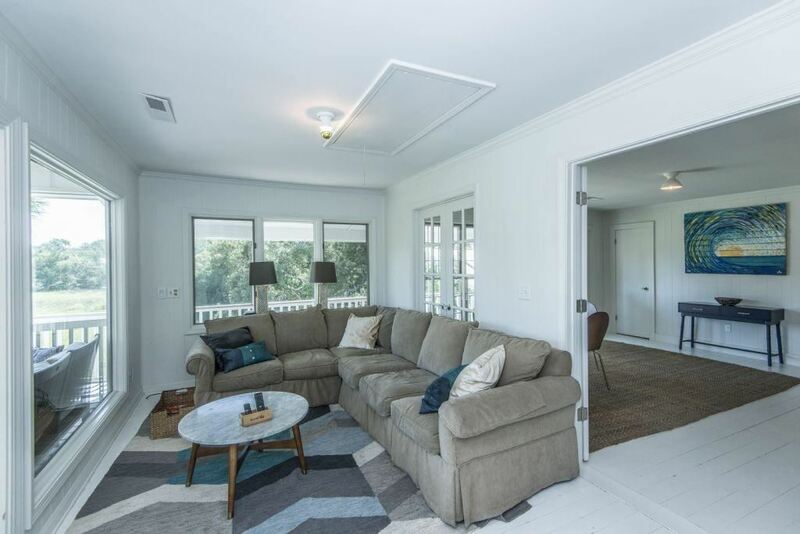 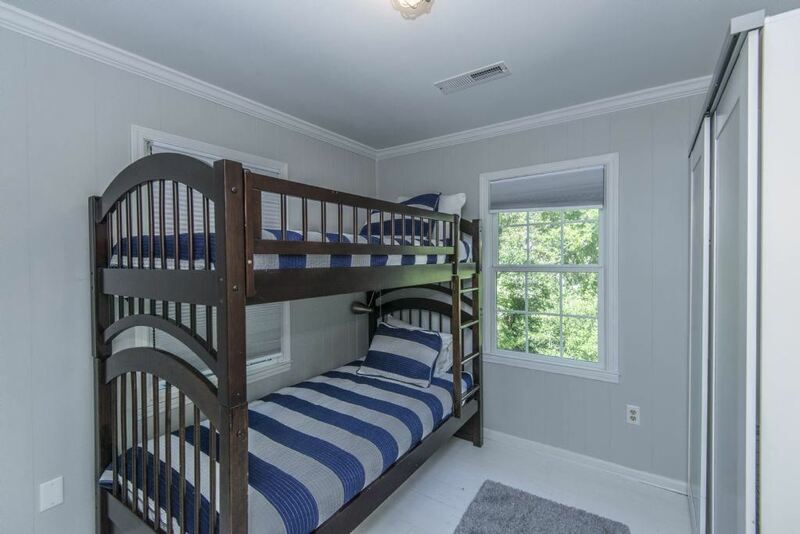 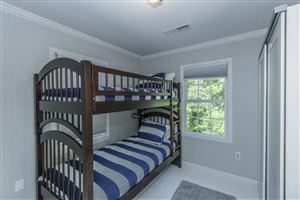 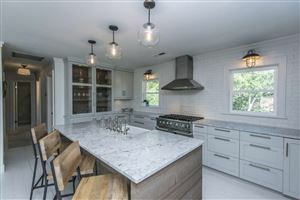 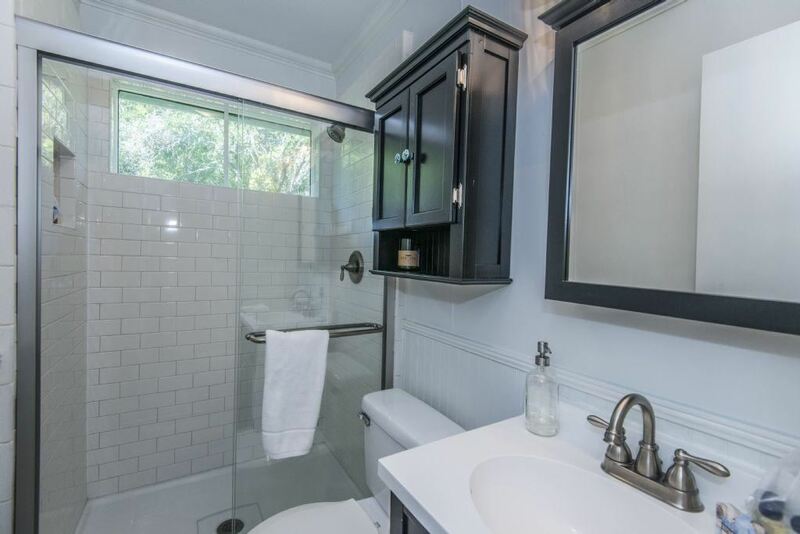 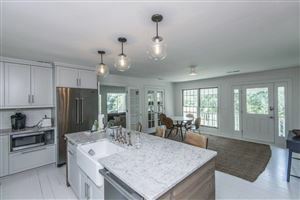 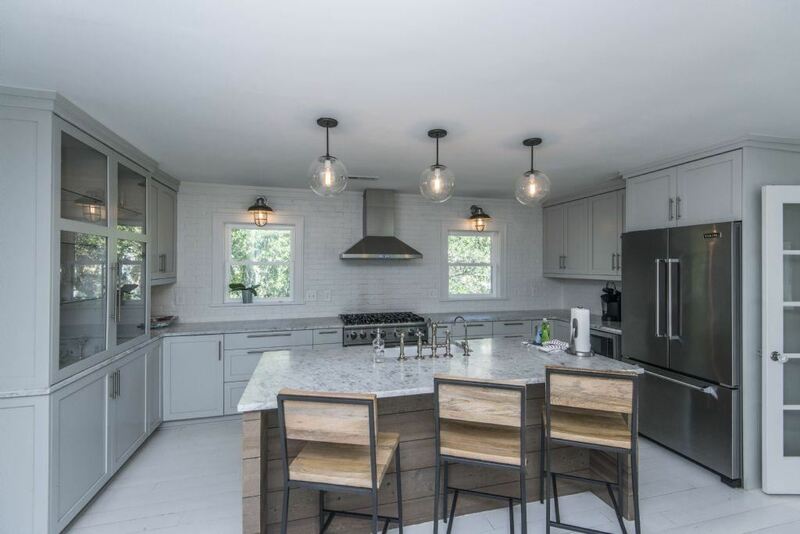 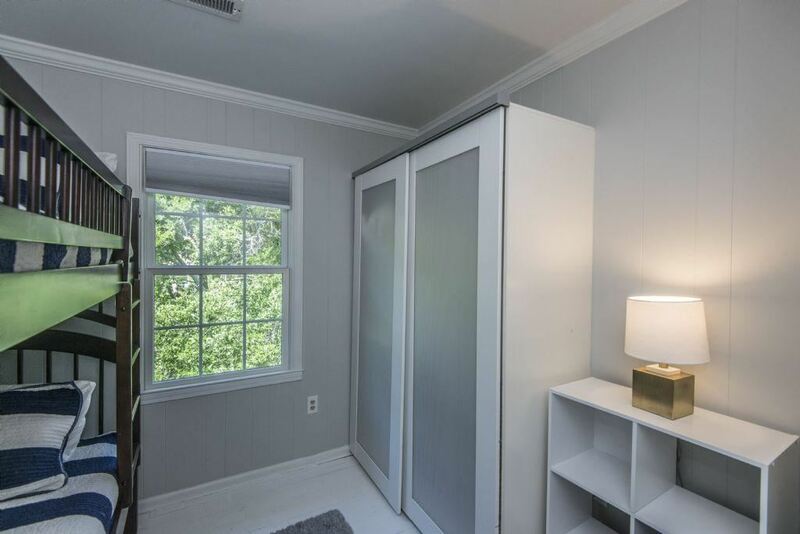 The current owners fully remodeled the home featuring a chef's kitchen with custom cabinets, marble counters & high-end appliances plus remodeled bathrooms, fresh paint & trim details. 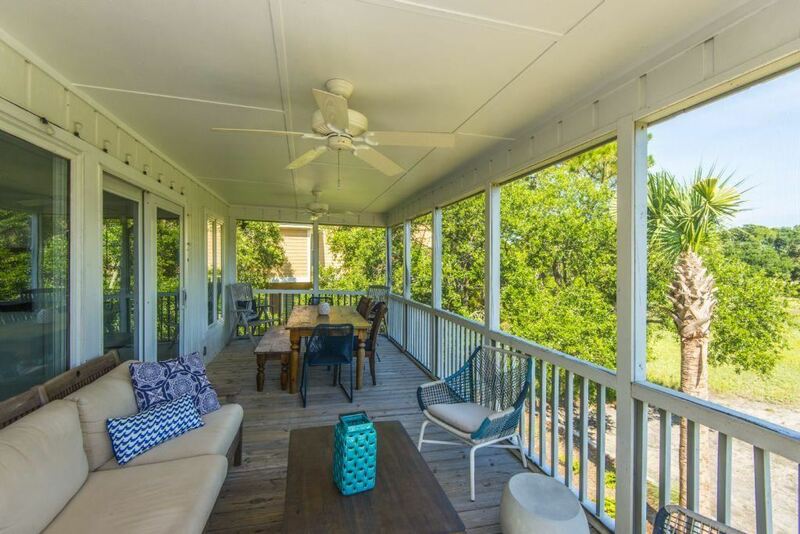 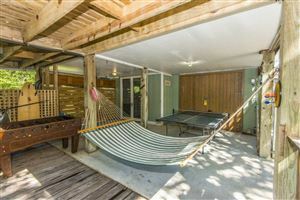 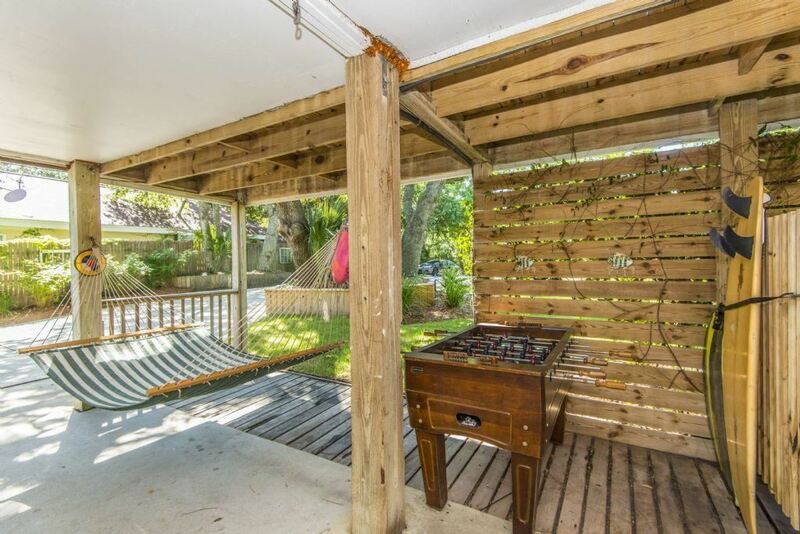 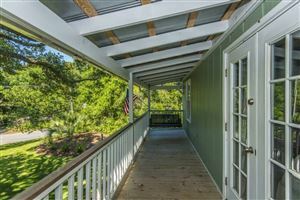 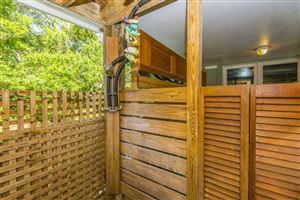 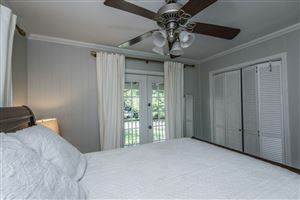 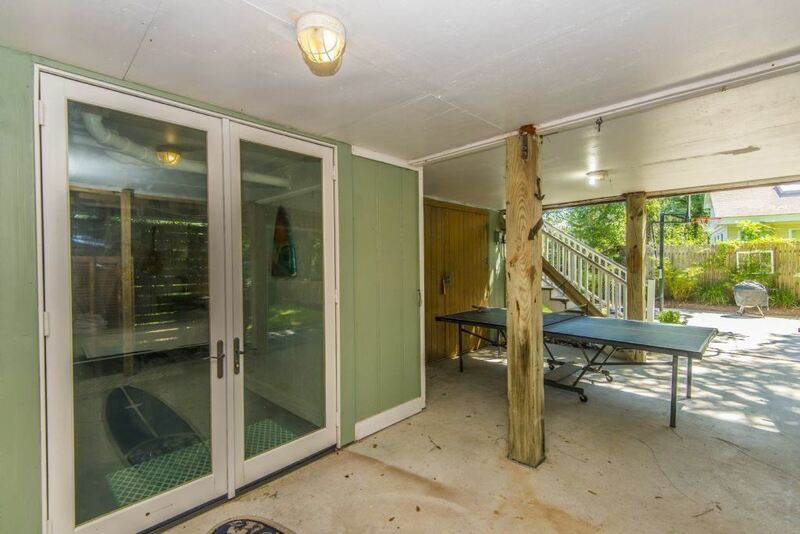 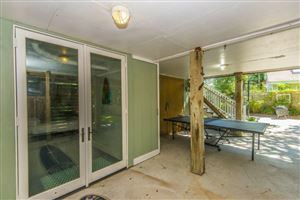 There are two great living areas that lead to a large screened porch with breezes year round. 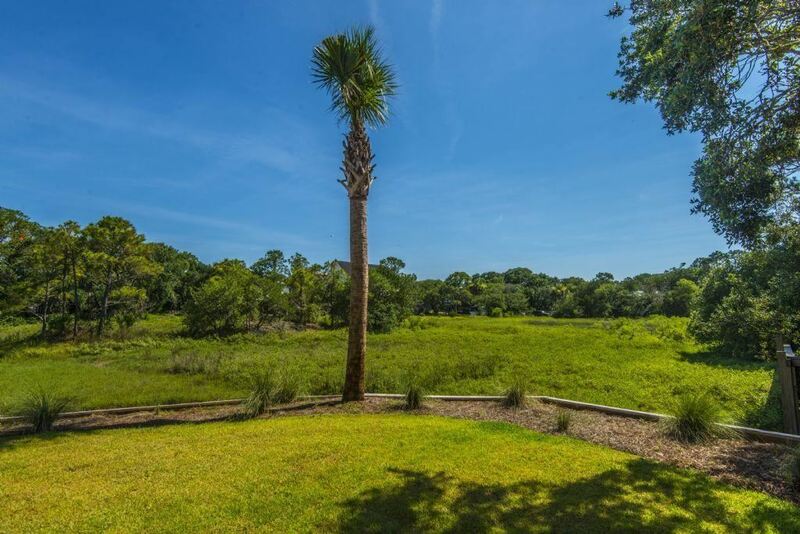 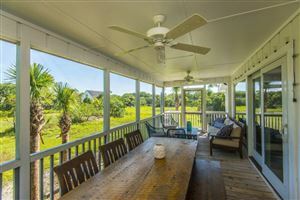 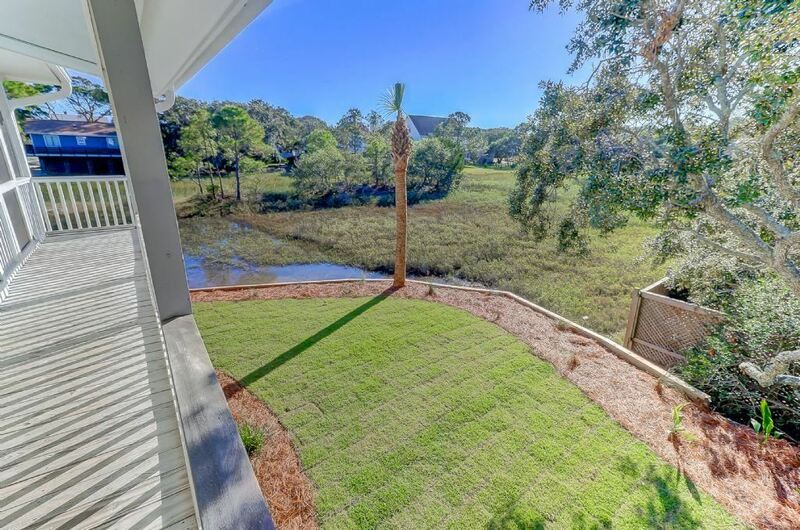 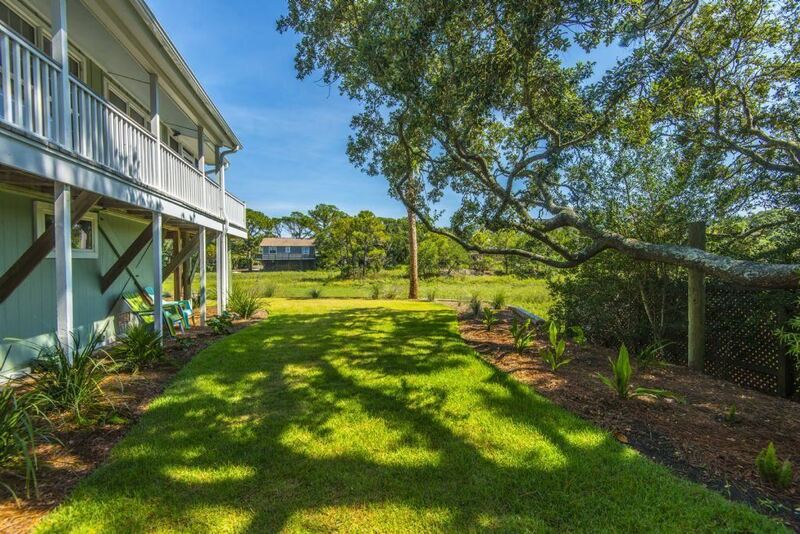 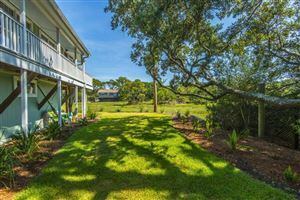 The porch is spacious for dining and morning coffee.The back yard was increased with the addition of a new sea wall with perfect views to your private marsh area. 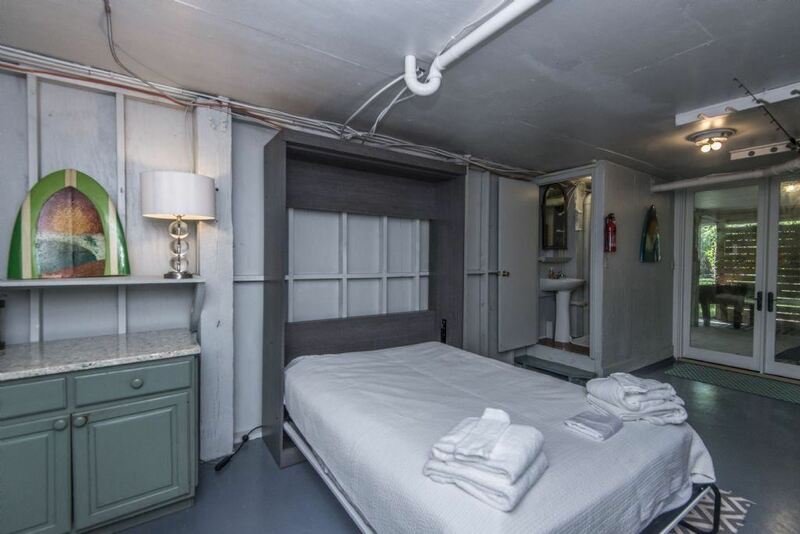 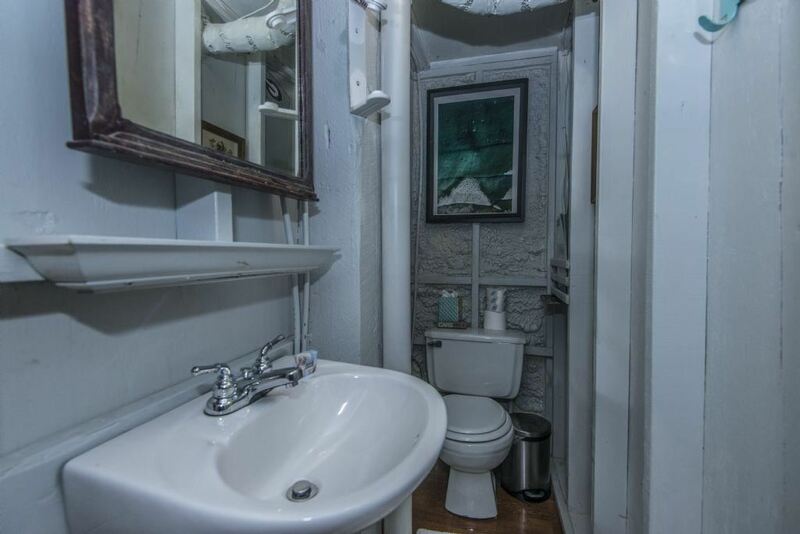 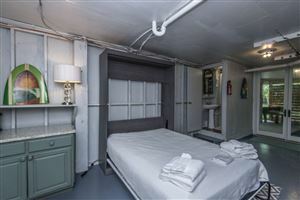 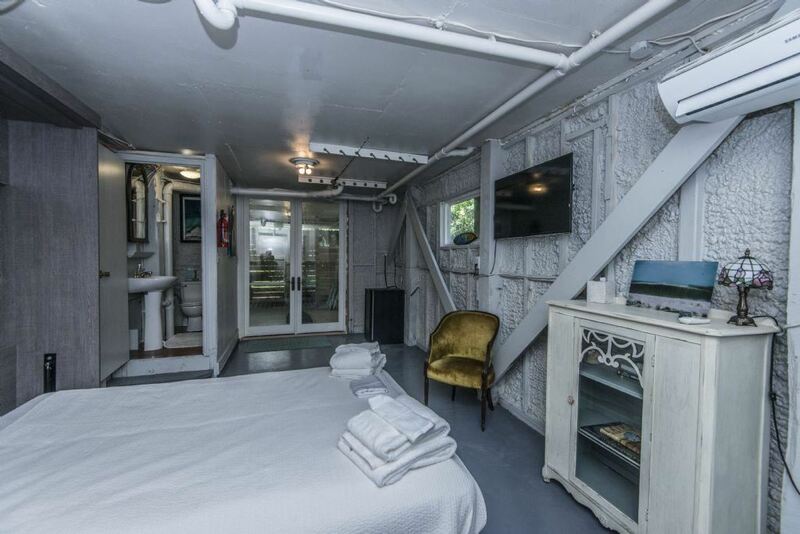 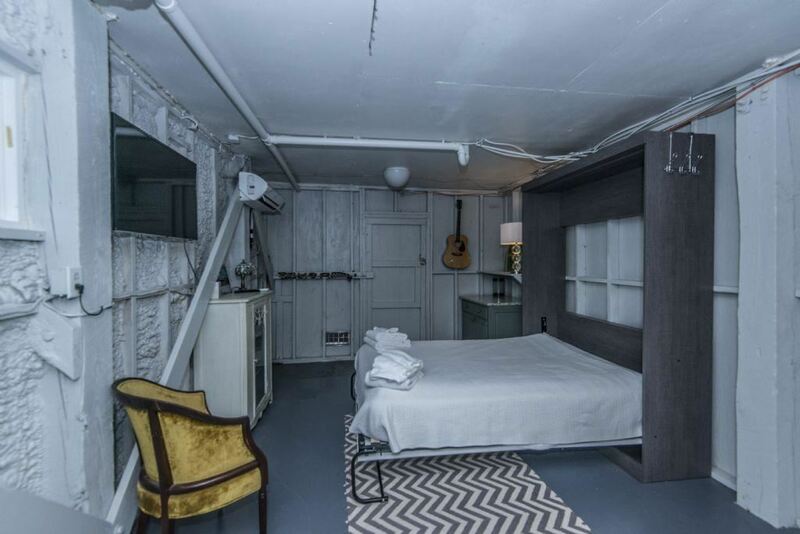 Downstairs there is an outdoor shower, additional living space & a garage/storage area that was spray foamed. 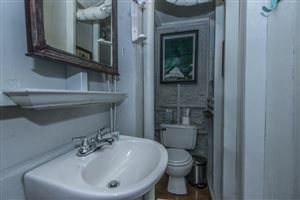 Call today to view this home.